The lure of the Chinese Super League has been around for some time, with big-name players such as Oscar, Yannick Carrasco, Paulinho and Ezequiel Lavezzi amongst others plying their trade in China at the moment. Unlike the European winter transfer window which closed on January 31st, the Chinese Super League transfer window closed last week on 28th February. Like each window, a host of players moved East to China. Here we take a look at 4 big-name players who made the move to China in this transfer window. The 31-year old spent his entire career in Germany before making the move to China. A product of the Bayern Munich academy, Wagner failed to make the cut for the Bavarians as he made just 8 appearances for the German giants before moving down a league to MSV Duisburg. A move back to the top flight followed with Werder Bremen two years later, but once again Wagner failed to make it count as the striker raked up a poor return of 5 goals. A loan to Kaiserslautern was soon followed by a permanent move to Hertha Berlin. 3 seasons with Die Alte Dame was followed by a season with Darmstadt. 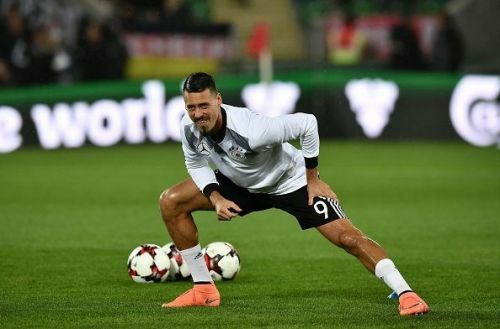 It turned out to be the breakthrough move for the striker as Wagner scored 15 goals in 34 appearances and guided the club to safety from relegation. A move to Hoffenheim followed the next season as the striker impressed once again in the league resulting in a return to Bayern Munich in the January transfer window last year. Game time at Bayern Munich was hard to come by as he spent more time on the bench rather than on the field due to the prolific form of Robert Lewandowski. Finally, Wagner asked the Bavarian giants to terminate his contract as he grew frustrated with his lack of game time. The German international finally made his move to China after Bayern Munich accepted a €5 million bid from Tianjin Teda. The striker scored 81 goals in 349 appearances in the German league. Top 5 Earners in the Chinese Super League: Does Fellaini make the cut?